Freddy happen to be awake at 2am when this one hit. I (for once – yah!) was asleep. She said it was a shaker (as opposed to a roller), and not too many, just one big thump, then a smaller one and that was it. 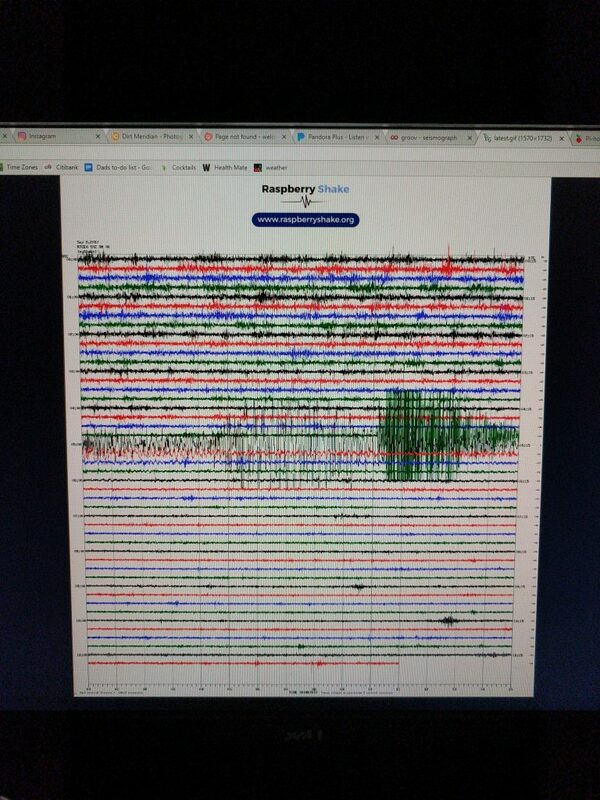 Sure did show up clearly on my seismograph… .To the point where it clipped the sensor. Wow, that was a big quake. Massive M7.9. And yes, we picked it up here in Temecula. One of the best and most clear quakes I have recorded. Far out… I was just there on Sunday (blog entry coming). There has been a swam of 5 earthquakes near Julian, just down the road from us here at Temecula. 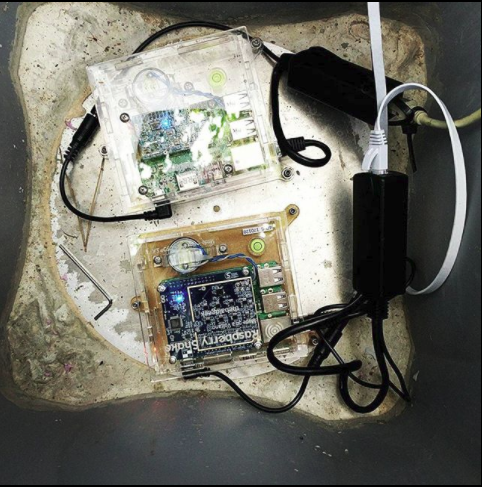 Here are the traces from my Raspberry Pi Seismograph. 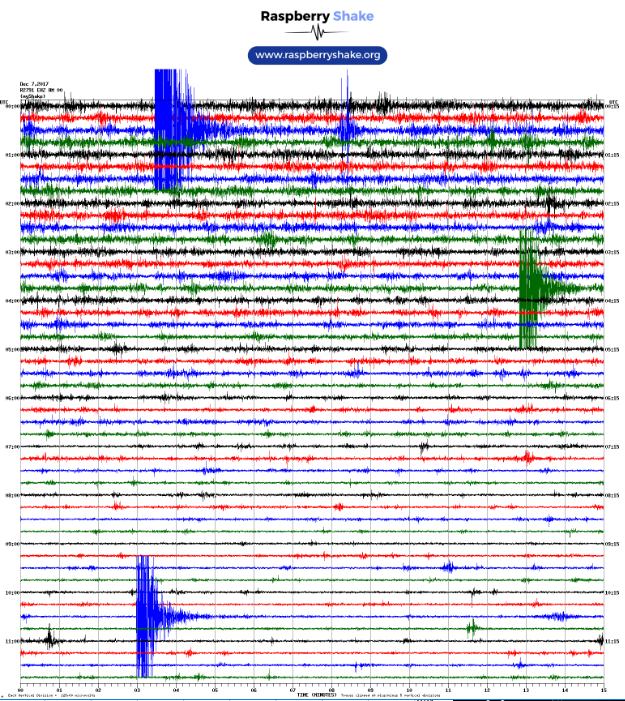 The first big blue one is actually the first 3 quakes. They really came in fast together. Then a few hours latter, the green trace shows the 4th. Then a few hours latter, the blue trace show the 5th. 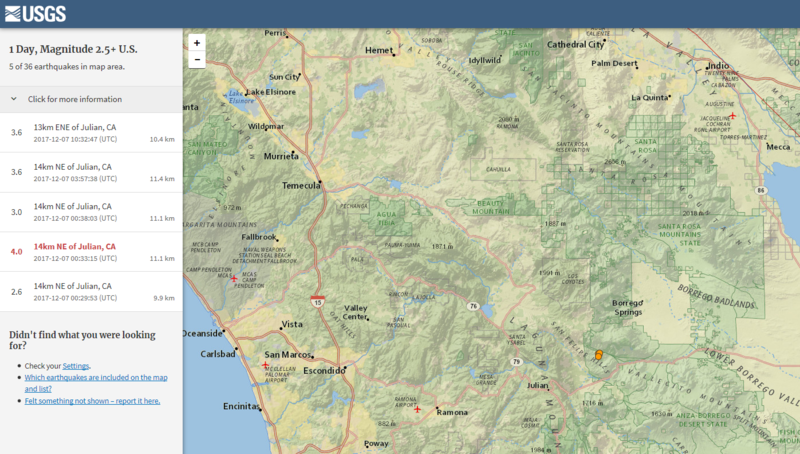 Here is the USGS map showing their locations (and to the upper left, Temecula). By using the ‘as the crow flies’ option in Google Maps, I make it to be 43.6 miles away. Without spoiling the coming blog, I was about 3.2 miles from the epicenter on Sunday (Little did he know). Pretty amazing to have a swam so close to home and really makes you wonder just what is going on beneath our feet!! No more tweaks to the vault, so this is about how things are just working really well. Sadly, due to a software bug, I lost the actual page of the big quake off the coast of Mexico, so here is the photo I happen to take of the screen that morning. Just a massive quake that ran for many minutes and then picked up a bit half hour or so latter. 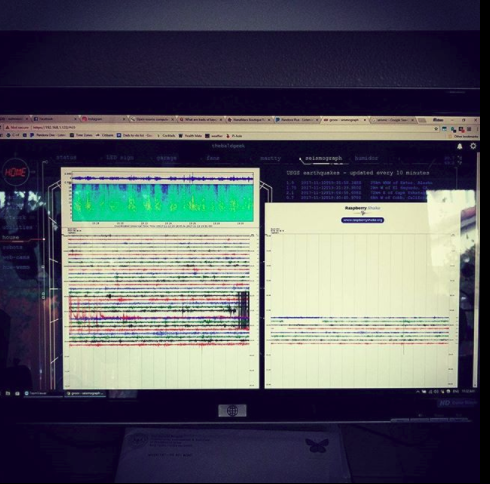 Now, as for all these, I truly am sorry to say that I have been super distracted (massive (or not) blog post coming – relax, it’s really geeky techo stuff) and so I just have not been keeping up on exactly which quakes all these traces are from. I guess my point in showing them all is that the system is working really well. 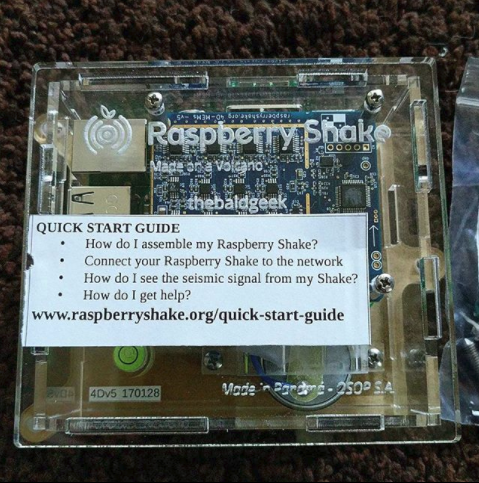 The last point I want to make is that RaspberryShake guys are working on a system that sends an email as soon as a big quake is detected on each of our seismographs, so I will be able to keep track of them much better. You can click on each image, then your browser should let you click again and you can pan around, so you can see the dates and could go back through the USGS website and link all these up. Impressive that 2 of the pages have 2 quakes on them. The new vault seems to be working well? 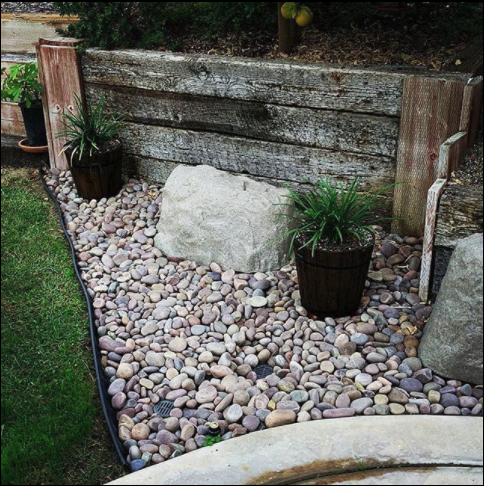 Till then, here are some amazing traces from my station in Temecula.